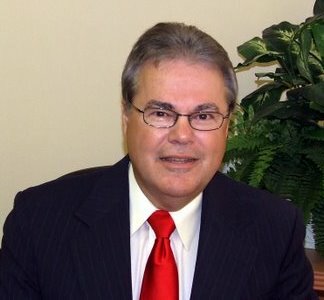 Gregory is the partner in charge of Tax and Compliance at Koutoulas & Relis. He has over 30 years experience with diverse companies in fields such as high tech, telecommunication, manufacturing, import/export and wholesale. Prior to joining the firm he was Vice President, Corporate Controller and Secretary of Ursus Telecom Corporation (NASDAQ - UTCC). Previously Gregory also managed a successful CPA firm in Indiana. Gregory received a B.S. in Economics with a concentration in Accounting from Purdue University in 1971 and is a licensed Certified Public Accountant in the State of Florida. He co-authored the book E-4, Evaluating, Entering, Enhancing and Exiting Privately Owned Businesses He is a member of the American and Florida Institutes of Certified Public Accounting. Steve is the partner in charge of Accounting and Auditing at Koutoulas and Relis. He has extensive experience working with many clients in various industries including high tech, real estate, construction, manufacturing and professional services. Prior to joining the firm he was the Chief Accounting Officer of Gilat Latin America, a wholly owned subsidiary of Gilat Satellite Networks Ltd (NASDAQ - GILTF). He also served as the Chief Accounting Officer and Interim Chief Financial Officer of Ursus Telecom Corporation (NASDAQ - UTCC). He was an audit manager with Deloitte and Touche in New York and Ernst & Young in Miami. At Ernst & Young he was part of the entrepreneurial services group, which specializes in supporting the needs of aggressive growth companies. Steve received a B.S. in Business from Long Island University in 1985 and is a licensed Certified Public Accountant in the States of Florida and New York. He is a member of the American, Florida and New York Institutes of Certified Public Accounting. Allan E. Laufer has been a practicing accountant since 1972 and is certified in the states of Florida and New York. Allan earned a Bachelor of Arts degree from Brooklyn College of the City University of New York and a Masters of Business Administration from Baruch College of the City University of New York. Allan has had domestic and international tax experience with Fortune 500 companies, such as Texaco and International Paper, as well as public accounting experience with such firms as Price-Waterhouse and Arthur Young. 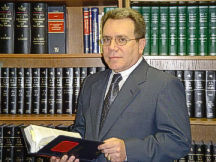 In 2002 he reestablished his independent CPA firm, Allan E. Laufer, P.A., after ten years as a partner in a prominent local Fort Lauderdale CPA firm, Gottlieb, Kinker and Laufer, P.A.. Allan was an adjunct instructor at a local university and has been a guest lecturer on various accounting and tax subjects before civic, academic, and business organizations. 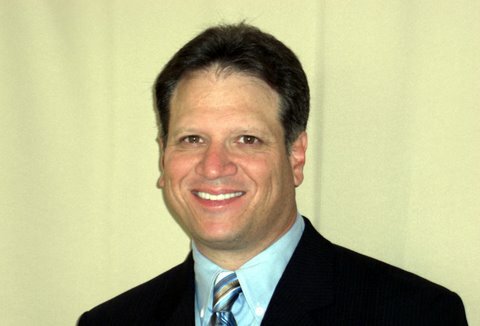 Allan Joined Koutoulas and Relis, LLC in January 2014. Allan is a member of the America Institute of Certified Public Accountants, Florida Institute of Certified Public Accountants and the New York State Society of Certified Public Accountants. He has also earned the title of Personal Financial Specialist, a designation that is granted by the American Institute of Certified Public Accountants to those CPAs who meet rigorous academic and experience requirements. Allan is also licensed as a Registered Investment Advisor in the state of Florida and provides advisory services through an affiliate firm, A.E. Laufer Financial Services, Inc.
Pamela A. Smith - Senior Tax Manager - Pam is the manager in charge of our individual tax department and also heads up our Americantaxhelp division. In addition to tax she also has significant experience with audits, reviews and compilations. She has over 20 years of tax and accounting experience working for a diverse group of CPA firms in New York and Florida. She received a B.A. Degree in accounting from Queens College. Nancy B. Block, CPA - Nancy is a certified public accountant in the State of Florida with over 25 years of experience in the accounting and tax arena and is the former managing partner of Block and Brand, PA, CPA. She has been active in the community by serving in leadership positions in many organizations and was an early graduate of Leadership Broward.She currently serves on the board of Tower Forum and was elected president for two consecutive years after she originated the popular straight-debate format in which local and national experts meet head to head debating local and national areas of concern.Nancy was named treasurer by The Florida Breeders' Cup Host Committee which brought the prestigious Breeders' Cup Thoroughbred Championship to Gulfstream Park. Nancy has been a member of the Women's Executive Club for over 20 years and has served on the board and is a past-president as well. Nancy also served on the board of the South Florida Gold Coast Super Bowl Committee, Inc. which hosted Superbowl XXIX. She is a graduate of Florida Atlantic University and is a member of the Florida Institute of Certified Public Accountants.